Richland County has many opportunities for residents to serve the community by being a member of a board, commission or committee. Some of these panels require members with specific backgrounds related to the function of the body including the Planning Commission. The Planning Commission consists of nine (9) members appointed by county council. The term of office of each member shall be four (4) years or after that time until such member's successor is appointed. Currently there is one vacancy. A vacancy in the membership must be filled for the unexpired term in the same manner as the initial appointment. The function of the Planning Commission is to undertake a continuing planning program for the physical, social, and economic growth, development, and redevelopment of the unincorporated area of the County. Click here to learn more about the boards, the vacancies and the requirements to serve. Click here to download an application. 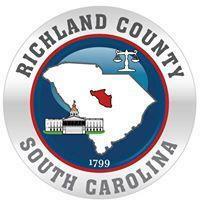 For additional information, contact the Richland County Clerk of Council's Office at rccoco@rcgov.us or 803-576-2060.